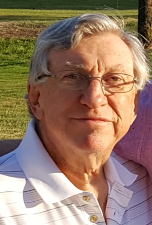 Charles (Charlie) Bukoski, WD4LKY, became a silent key on August 6.2018. Charlie passed away following a septic bacterial infection while traveling in his motor home in Iowa. He was being treated for Multiple Myeloma for 2.5 years and his depleted immune system was unable to overcome the massive infection. He is survived by his wife, Judy (KB4BDQ), two sons, 3 grandchildren, and one sister.